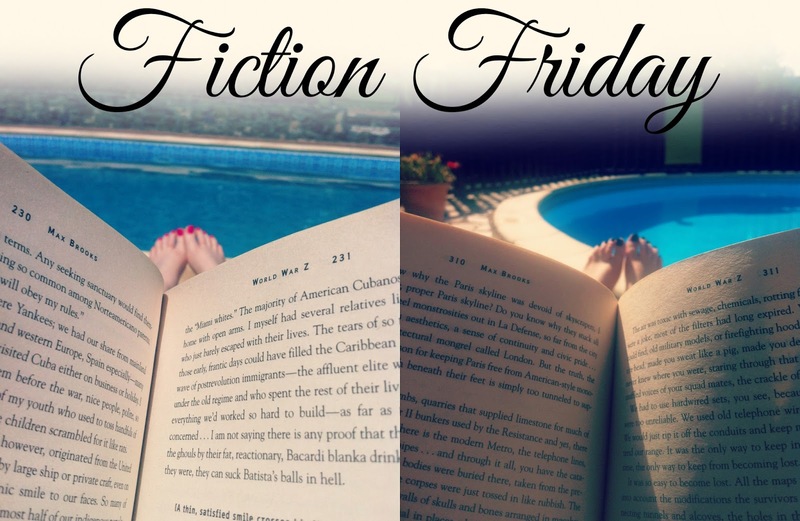 Hello everyone and welcome to my new series I’ve named ‘Fiction Friday’. A lot of my free time spent not blogging is spent in the land of fiction, be it a TV show, a film, a book, a comic book, a podcast or writing my own. And I wanted a little section of my blog where I could talk about these things. In relation to this I have got myself a Goodreads profile if anyone wants to be friends as I to try and fall in love with reading again. And this also links into my 30 before 30 list because #2 is to write a novel and #18 is to review about 200 books in my Book Journal. Reading: The last Hunger Games book! Urg I don't want them to end, I started these books just under a week ago and they are glorious but oh I'm scared for the ending. I swear the stress of these books is what gives me blemishes. Watching: Season 5 of Castle because it went on sale on iTunes and I had a gift card. I also watched Stephen Kings' The Mist which made me want to rip my hair out. Listening to: The Nerdist podcast! I skip about with this podcast and the one I listened to latest was the one with Daniel Radcliffe who is adorably hilarious. So expect posts about what I’ve been reading, writing, watching and listening to. And if you blog about books 'n' stuff then leave me your link!